As we were returning from our boat trip aboard one of the two historic wooden boats — Chief Two Guns on Swiftcurrent Lake, we are approaching the Many Glacier Hotel from the water side. Built by the Great Northern Railway in 1914-15, Many Glacier Hotel is situated on the shores of Swiftcurrent Lake inside Glacier National Park. 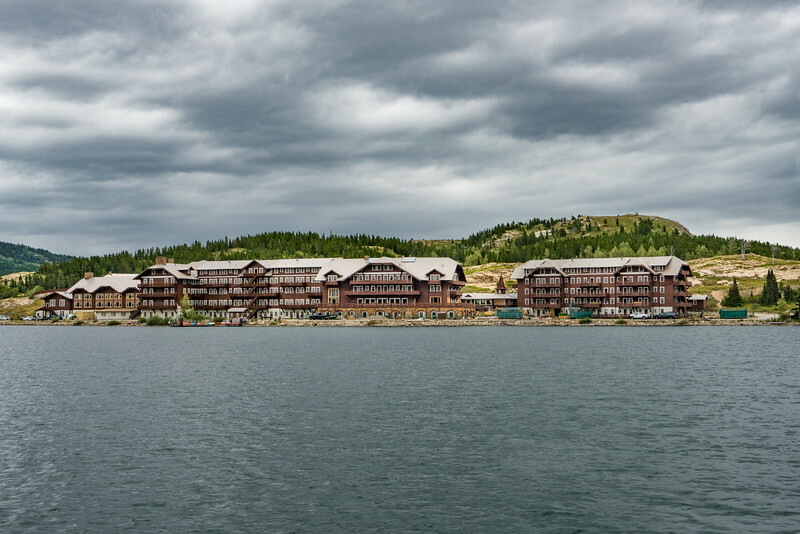 This secluded, five-story hotel contains 215 guest rooms offering lakeside, standard and value lodging options. All guest rooms at Many Glacier Hotel are rustic, yet comfortable. In keeping with the era in which the hotel was built, the rooms offer guests modest amenities and old-world style accommodations. There are no televisions or air conditioning.